Pack of 6 stylish Tassel & Pom Pom Christmas Gift Tags. 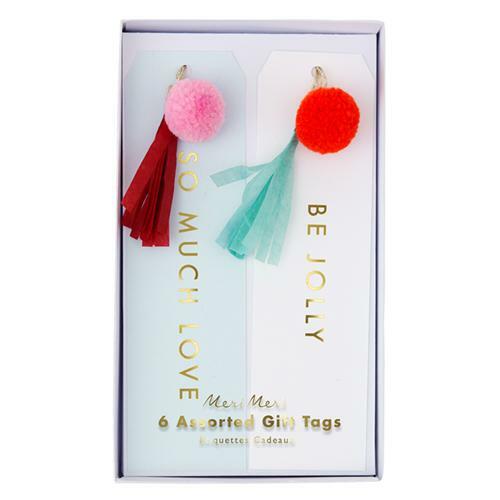 Make your gifts extra special this festive season with these fabulously fun gift tags! Pack of 6 in 3 designs. 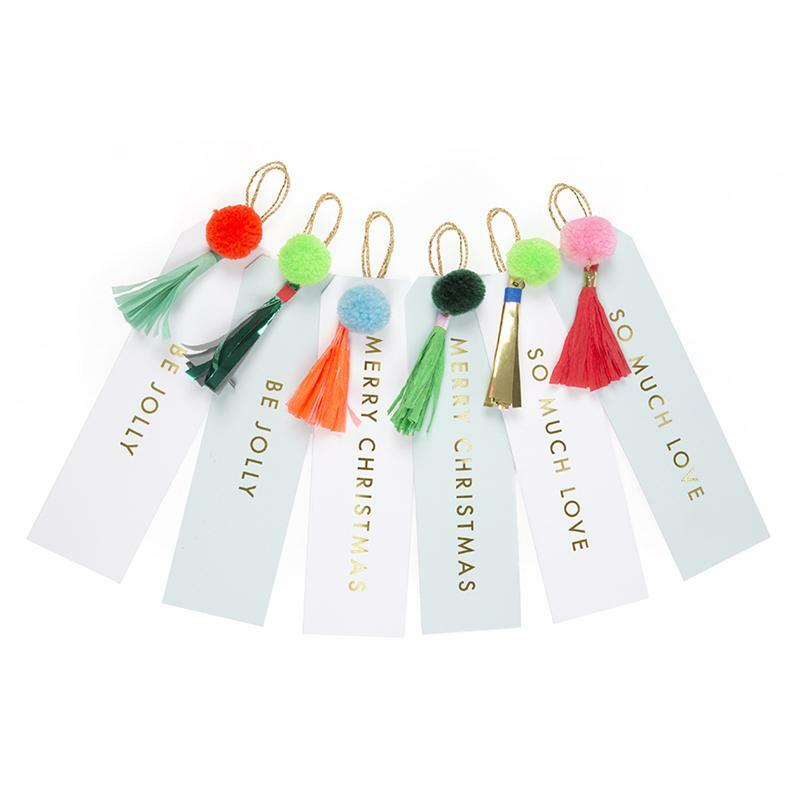 Pompom & tassel with gold cord. Green & gold foil detail.